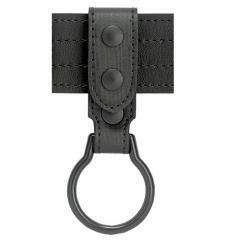 This heavy duty flashlight ring by Safariland features a shatter-resistant nylon ring. For use with belts up to 2.25" wide. Ring is 1.78" in diameter.